Here at Rubberbanditz, one of our main goals is to promote personal health and fitness however and wherever we can, whether it is in Africa or in the neighborhood park. Through our community outreach projects, we encourage inclusion, accessibility and enthusiasm for exercise. 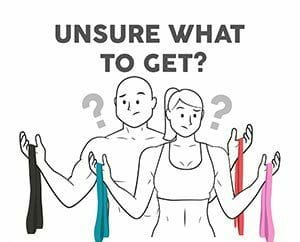 We use our bands, bodies and minds to break down barriers to fitness through group-facilitated training sessions and by supporting like-minded community organizations. CFK is based in the Kibera slum of Nairobi, Kenya. Its mission is to promote youth leadership and ethnic and gender cooperation in Kibera through sports, female empowerment, and community development. Leann Bankoski, the executive director, said the group is “absolutely in LOVE with Rubberbanditz.” In an area with few training facilities and opportunities, CFK really gets to test our mission of a truly mobile gym. CFK is working on incorporating Rubberbanditz as a core piece of their health and wellness program for a variety of participants – from at-risk youth, to HIV patients, to athletes and more. Read more about the organization at www.carolinaforkibera.org. Check out this video of CFK and the bands in action, and head over to YouTube to see a few more. Bridge 2 Sports (B 2 S) creates opportunities for physically challenged children and adults to play a variety of sports by providing equipment, team structure and coaching. Through sports, participants discover their tenacity, self-confidence and strength. As a North Carolina chapter of the Paralympic Sport Club and Disabled Sports USA, B 2 S is making a huge splash and providing phenomenal opportunities. Sports require training, and that is where Rubberbanditz comes in. We work hands-on with B 2 S athletes and design efficient and effective exercises/routines that complement and enhance their abilities. Learn more at www.bridge2sports.org. BounceBack Kids (BBK) is a fabulous nonprofit whose mission is to enrich the lives of children with serious medical conditions and their families through free year-round recreational, athletic, and social activities in a caring and supportive environment. We engage BounceBack Kids in fun and challenging physical activities through group-facilitated training sessions. 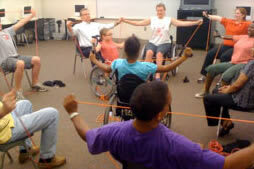 BBK is a testament to the fact that bands can offer safe and fun exercises for people of any age and ability. Read more about BBK at www.bouncebackkids.org. 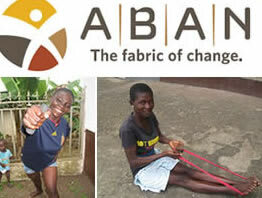 ABAN is a non-profit in Accra, Ghana working to empower girls living on the street while cleaning up the environment. The main form of safe, clean drinking water in Ghana is sachet bags, sandwich-sized plastic bags filled with water. Since there is no formal waste collection, over 40 tons of these bags are thrown into the streets every day. Every night an estimated 10,000 young mothers and their babies sleep on these same streets. ABAN fights the neglect facing both the girls and the environment by providing a group of young at-risk mothers with shelter, training, schooling, Rubberbanditz guided fitness, and the means to save money. The girls learn a marketable skill by sewing recycled sachet bags into unique, handmade products that are sold in foreign markets. For for information see www.aban.org. OE Enterprises provides individualized services and supports people with disabilities as well as disadvantages in achieving progressive employment results. They maintain strong partnerships with local employers and provide services that focus on both the needs of individuals and employers. We are always looking for new ways to make our community a stronger place, both here in the US and abroad. Have a cool ideas? Contact us!